Once your company has mapped out and analyzed inefficient business processes, the next step is redesigning those business processes. This blog post will provide some key considerations for organizations as they undergo this initiative. Organizations need to consider whether any steps in a process can be removed to quicken project turnaround time. For example, does a completed deliverable really need to get final approval from a staff member who is often traveling and/or unavailable? Is there anyone else who can provide this level of quality control in a shorter time frame? As another example, does a company really need to hold project status meetings once a week? Would a bimonthly meeting make more sense from a scheduling and productivity standpoint? It’s important to weigh any productivity gains with potential losses in quality to ensure the process meets employee and/or customer demands. 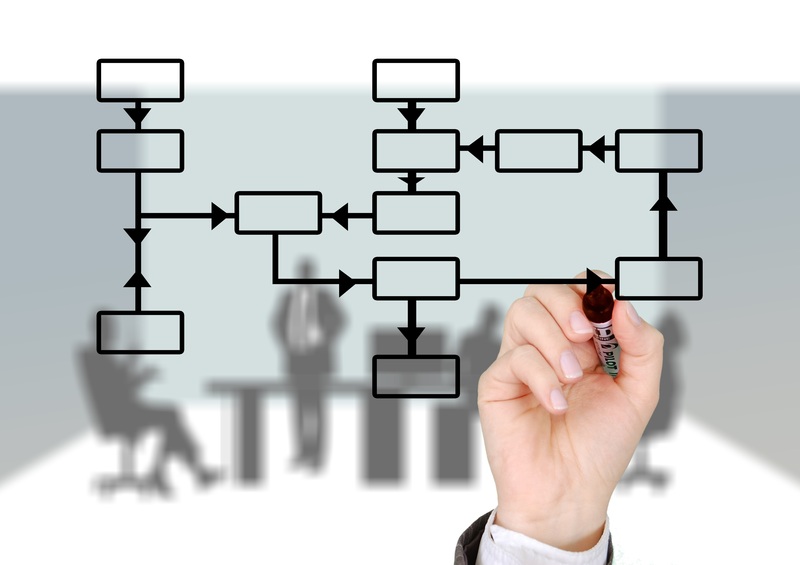 Another way to improve business processes is incorporating new technology into the workflow. Think about whether any low-cost or even free technology exists to speed up the exchange of information as well as decision-making. This could mean a cloud-based tool that lets users access data whenever and wherever they are in the world. Or it could mean electronic signature capability that enables immediate approval of documents. Another example is optical character recognition technology that converts scanned documents into editable and searchable text. Benefits provided by these technologies may be well worth any potential subscription or investment costs. Sometimes business processes are ineffective because organizations are lacking staff to perform integral tasks. For instance, companies may be lacking a legal expert to sufficiently review new contracts. Or no dedicated human resources staff may mean new employee onboarding is a slow and error-prone process. Resources in areas like writing, editing, marketing, design, data analysis, software programming, product testing, and accounting may also be necessary for effective workflows. For organizations that can’t afford to hire new staff, alternative solutions include training current employees or rearranging workloads to free up staff for crucial tasks. Once organizations determine inefficiencies and bottlenecks within key processes, they will need to take time to redesign these workflows. When undertaking this task, they are encouraged to consider how cutting out unnecessary steps, integrating new technology, and adding new staff (or training or freeing up current staff) can help improve organizational productivity as well as customer and employee satisfaction.